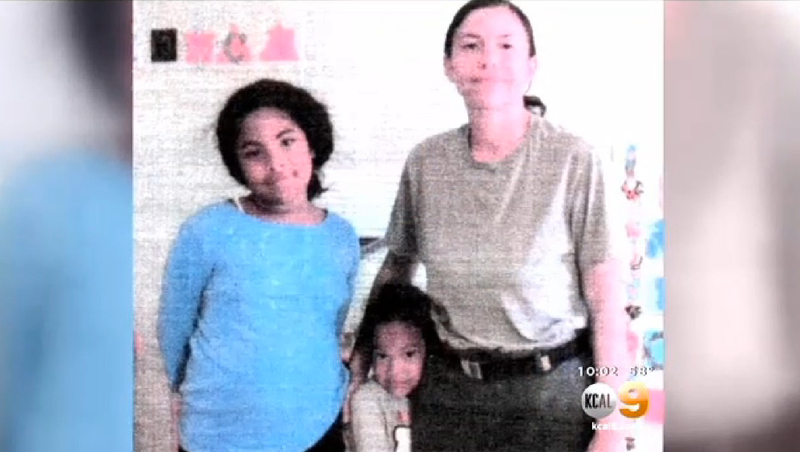 VICTORVILLE, Calif. -- Police in Southern California say a mother is on the run with her two young daughters after she killed her husband, reports CBS Los Angeles. Deputies reportedly found the body of 35-year-old Antoine Smith at the couple's home in Victorville, about 80 miles northeast of Los Angeles, after they responded to a welfare check Tuesday evening. The San Bernardino County Sheriff's Department said Wednesday that they believe his wife, Leticia Smith, 33, killed him before fleeing with daughters Isabel, 8, and Abigail, 4. Antoine Smith's co-worker called deputies when he didn't show up for work, reports the station. Smith is believed to be driving a silver 2010 four-door Honda Accord with California license plate 7FBT742. Neighbors told CBS Los Angeles the couple worked at a military base together and often fought. One neighbor, Osvaldo Macias, told the station that early this week he heard a shotgun blast. Officials said they have not issued an Amber Alert for the children because they do not believe the mother plans to harm them, reports the station. Anyone with information about Smith's whereabouts is asked to call 911 or the San Bernardino County Sheriff's Department.